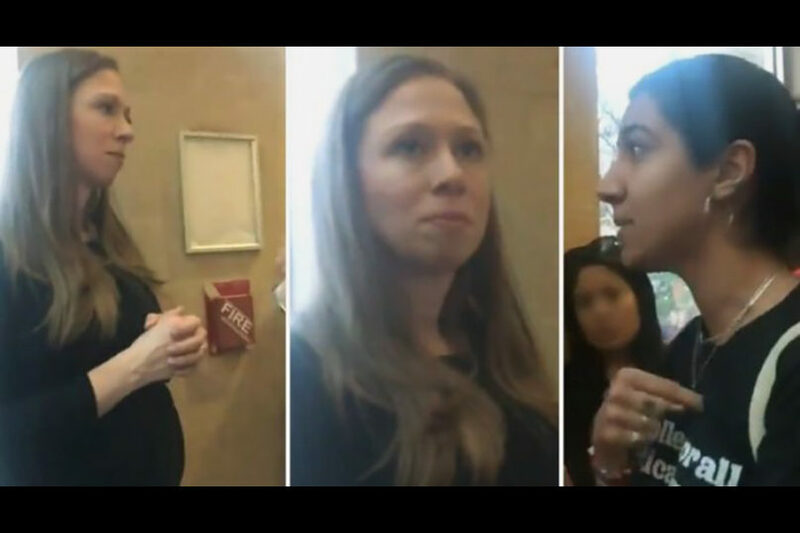 (JTA) – Two student activists confronted Chelsea Clinton at a vigil for the 50 Muslims killed in an attack on a New Zealand mosque and accused her of being a cause of the massacre. New York University students Leen Dweik, who is Muslim, and Rose Asaf, who is Jewish, approached Clinton at the vigil held at the school Friday night, March 16. The two students, who reportedly met through Students for Justice in Palestine, took issue with Clinton’s recent tweet about Rep. Ilhan Omar, after the Minnesota congresswoman was accused of promoting anti-Semitic tropes in her own tweet. Clinton had responded to a tweet by a Forward opinion editor, saying she “co-signed” it “as an American.” Dweik and Asaf took that as Clinton implying that she was more American than Omar, a Somali immigrant. 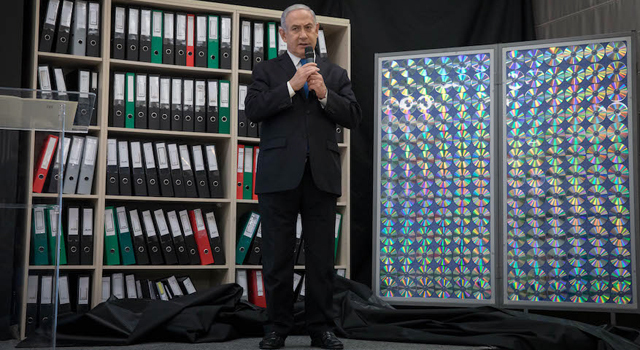 “I’m so sorry that you feel that way, certainly it was never my intention, I do believe words matter,” Clinton responded, as seen on the video. Clinton later thanked Omar for her apology and noted that she looked forward to meeting the congresswoman so that they could talk about both anti-Semitism and Islamophobia. The students published an essay about the encounter in Buzzfeed on Saturday. “We did a double take when we first noticed Chelsea Clinton was at the vigil. Just weeks before this tragedy, we bore witness to a bigoted, anti-Muslim mob coming after Rep. Ilhan Omar for speaking the truth about the massive influence of the Israel lobby in this country,” they wrote, adding that they thought it was “inappropriate” for Clinton to show up at the vigil since she had not apologized to Omar “for the public vilification against her.” “Chelsea hurt our fight against white supremacy when she stood by the petty weaponizers of antisemitism, showing no regard for Rep. Omar and the hatred being directed at her,” they also wrote. Many public figures rose to Clinton’s defense, including New York Mayor Bill de Blasio and Donald Trump Jr.
Clinton had been invited to the vigil by the Of Many Institute, a multi-faith organization at NYU that she helped found, Clinton’s spokeswoman, Sara Horowitz, told the Post.